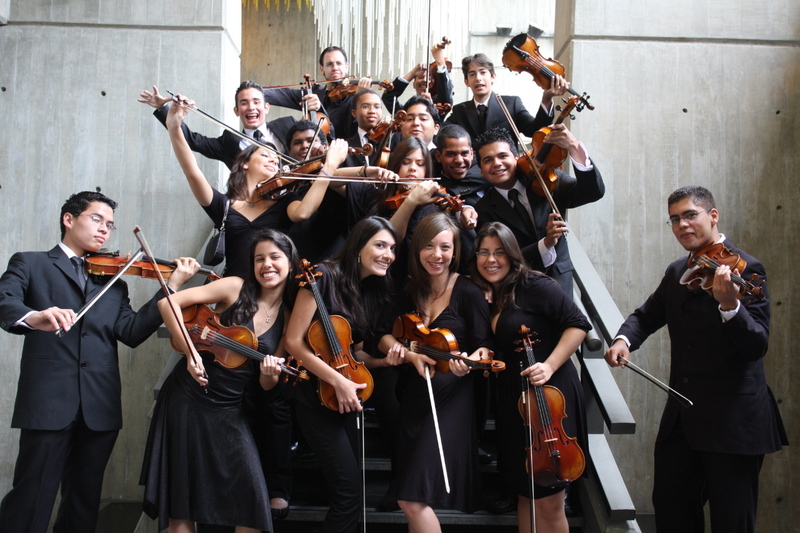 Teresa Carreno Youth Orchestra: The tour has begun and is coming here soon! The overture to Leonard Bernstein’s “Candide” was something similar to an early encore: The audience in the sold-out Beethovenhalle were literally blown away by the infectious rhythms, the passionate, perfectly placed wind player attacks, the virtuosic string figures and especially by the extraordinary spirit of their performance. When you hear the Fifth of Beethoven performed in such a passionate way, you feel the existential statement standing behind it. But passion alone would not be enough, of course. With the Venezuelans, it goes along with an astonishing sense of discipline. No one hides in the large group of hundred string players, the bow stroke is perfect even in the last row. 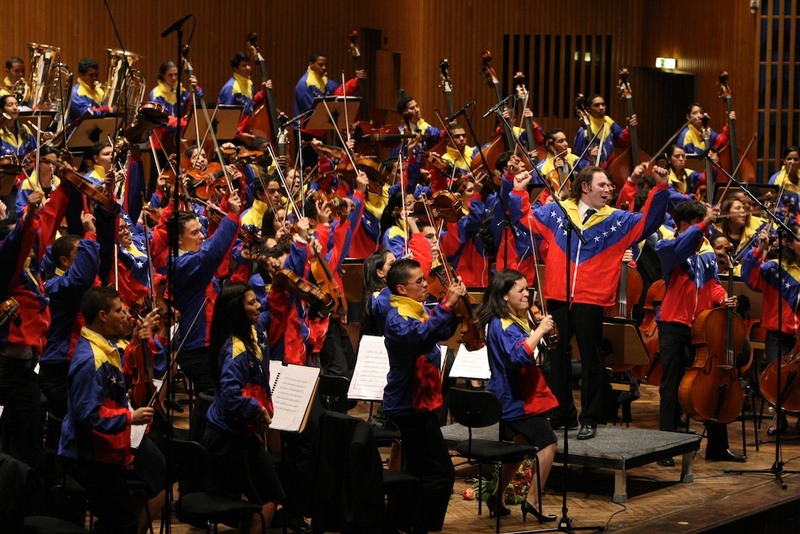 But the 180 Venezuelans can play a delicate piano as well which they show in the Beethoven, but even more impressively in Tchaikovsky’s 5th Symphony. The dark, atmospheric beginning with the solo in the clarinet was enchanting. They savoured the whole of what the Fifth has to offer: The tenderness of the Horn melody as well as the brutal interception of the low brass in the Andante. The lightness of the Waltz and the restlessness of the Finale, which accelerated in an incredible way due to Vásquez’ idea of an extremely high tempo. As part of Sounds Venezuela José Antonio Abreu is leading a special talk, ‘Taking Stock’ at Southbank Centre on Thursday 14 October at 2.30pm. Head of Music at Southbank Centre, Marshall Marcus interviews the Venezuelan violinist Alejandro Carreno who played here as part of Simon Bolivar String Quartet earlier this month. 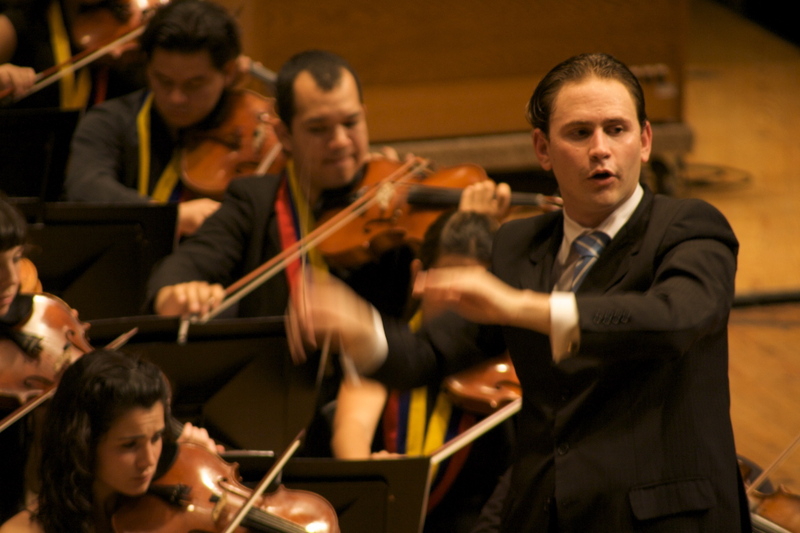 What can first-time audiences expect from Teresa Carreno Youth Orchestra? ‘Their technical level is spectacular, and the sound they make is amazing. What makes them really special is how hard they work for the music, and how much they love to play. They transmit so much joy, it’s fantastic, and contagious’ says Vásquez. Feeling lost? Classical SatNav on Friday! Want direction through our classical music 10/11 season? Marshall Marcus, Southbank Centre’s Head of Music, leads a free talk looking at some of the great classical music moments on offer at Southbank Centre between September 2010 and June 2011. This talk is for all levels of interest and will include a filmed interview with Norman Lebrecht discussing Mahler, and a taste of Helmut Lachenmann’s music in the lead-up to our weekend celebration of his birthday in late October. Admission is free but you need to book a ticket. See you there! 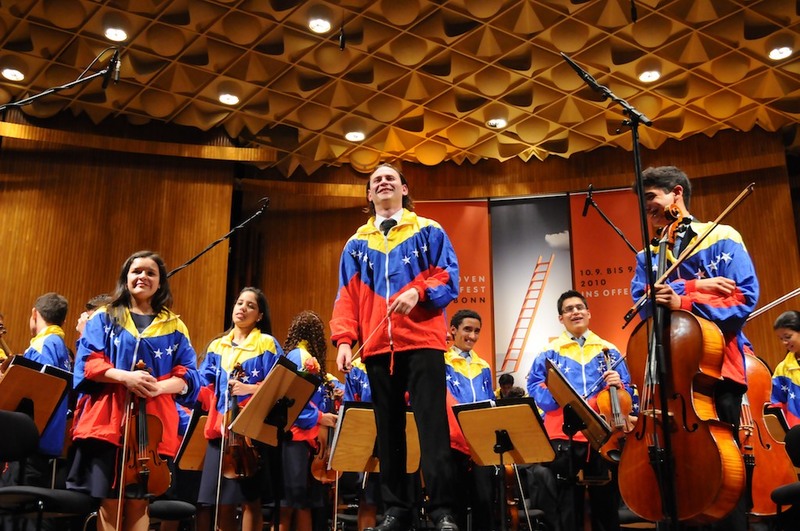 Orchestras have predictable names, but rather than identifying their locales, Venezuela names its sensational youth orchestras after their national heroes. This October London will get the first glimpse of Simón Bolívar Youth Orchestra’s exciting younger sibling, the Teresa Carreño Youth Orchestra, when they perform at the Royal Festival Hall. According to a reference source, Teresa Carreño was ‘a glamorous keyboardist with an exciting love life.’ Born in Caracas in 1853, this daughter of a prominent politician was as renowned for her fiery virtuosity as she was for her four marriages, including two brothers and one to the pianist Eugen d’Albert who married six times himself. Known as ‘the Valkyrie of the Piano’, she once took over the podium when the scheduled conductor fled town upon hearing of an uprising in town. Expect fireworks! 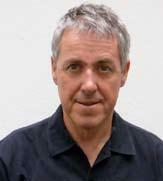 Comedian and actor Griff Rhys Jones, soprano Joan Rodgers, mezzo-soprano Victoria Simmonds and violinist Jack Liebeck are just some of the stars contributing their talents for free to ‘A Night Under the Stars’ on Thursday 7 October. In 2009 the event raised £80,000 for homelessness charity The Passage, and we hope the 10th anniversary extravaganza will raise much more. Based in London’s Victoria, the ground-breaking work of The Passage’s day centre, night hostel and training flats helps over 250 people every day. It provides resources that encourage, inspire and challenge homeless people to transform their lives. As well as providing canteen meals, showers, laundry and clothing, there’s pastoral mentoring and advice on everything from housing to job applications and benefits. There are also medical, education and training services, ranging from drug and alcohol abuse support to computer and literacy skills. Over the past 30 years, The Passage has helped over 100,000 homeless people. Click here for concert information and tickets. The Chinese-American conductor, Lan Shui, is renowned for his abilities as an orchestral builder and for his passion in commissioning, premiering and recording new works by the cream of Asia’s composers. As a guest conductor, Lan Shui has worked around the world, but in October he comes to Southbank Centre’s Royal Festival Hall with the Singapore Symphony Orchestra as their Musical Director. We were lucky enough to have a few words with the man himself. What music would work as the soundtrack to your life? Brahms’ Fourth Symphony. As a musical work it is well-structured, yet emotionally rich. It’s also very positive and optimistic. What’s your favourite museum or art gallery? I don’t really have a favourite. Sometimes when I am conducting in a particular city I will find some time out to visit a museum or gallery that’s near. One museum that I remember well is the Museum of History in Bamberg, which houses many interesting collections. One of the greatest challenges for me has always been balancing work and family. I spend 28 weeks each year conducting away from home, so in what’s left I try to spend as much time as possible with my 5-year-old son in Copenhagen. I find that in music, the concept of perfection is far too ‘mechanical’. Being ‘perfect’ is not about playing every single note correctly. It’s about putting 120% into the making of it, living it, and making a connection with the audience or listener. When that moment comes when everything falls into place, that is perfection. From a personal standpoint, someone whom I will always admire is the conductor David Zinman, with whom I worked in the US in the early 1990’s. At the time, he was a true inspiration for a young conductor like me; as a musician he took his work very seriously, and that still influences the way I work today. When I was young I always used to be very fascinated by architecture. So I’ve always thought that if I were not a musician (though that is something I find hard to imagine! ), I should like to be an architect. Buildings are symbols of the peoples and cultures from which they arise, and I am fortunate enough to have the chance to conduct in different concert halls around the world, each with its own individual character. Tell us about a special memory you have of Southbank Centre? Unfortunately I’ve not had a chance to conduct there. But I have enjoyed many wonderful performances in Royal Festival Hall! I am a loyal visitor to the CNN (www.cnn.com) and BBC websites, where I get my news every day. That would easily be Strauss’ Four Last Songs. I have several version of it, my favourite being the Flagstad/Fürtwangler, Schwarzkopf/Szell and (more recently) Fleming/Thielemann versions. 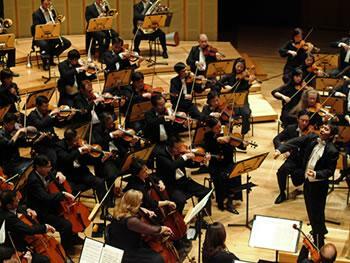 For more information about Lan Shui conducting the Singapore Symphony Orchestra at Southbank Centre, click here.